I’m dusting off the old festival spotlight. For those new to the site, this used to be a regular feature of the blog as a way for people looking to travel to learn more about the festivals they might consider visiting. As the festival FAQs on the page started filling this role, the posts were phased out, but a festival in Cape Town, South Africa is a much bigger trip and consideration for most of us looking to travel. I was incredibly lucky to personally be able to attend last year. It was an experience I’ll always remember. I’m sure many visitors here are curious about a festival so far away so I reached out to Eva Gilliam, the producer of the festival to talk a little more about it. I was very lucky to be able to meet the people in the Cape Town improv community last year. It’s such a passionate group. How did it evolve into the community it is today? Improv in Cape Town has been a relatively small scene, but present for over twenty years. Theatre Sports, with troupe Improguise has been performing and teaching for ages! About 7-8 years ago, The Long Shots, started by Jason DelPlanque (now of The Maydays, UK) came on the scene, and also began teaching and performing. But being so far away from so much of the global scene, we stayed pretty insular, building our skills through self-teaching and occasionally getting off the island to learn from Chigagoans, New Yorkers, and Brits. This made us all very close and passionate about what little we could learn (before there were SOOO many books!) and share share share with each other. When we started the festival, the excited busted forth! We could now learn even more and share with other improvisers! A passionate community grew! If you’ve visited us for fest these last years, you probably experienced feeling like a rock star – cause to us, you all are! What was behind the decision to start an international festival? Ashley Comeau, from The Lusty Mannequins based in Toronto, found The Long Shots (of which I am a member) to see about coming to teach a workshop with her then boyfriend, now hubby, Connor Thompson. When I called her back, in our first conversation, we hit it off! Considering how far it is to get here, and the costs, we thought, a workshop with us wouldn’t be enough – we want to share this in a much bigger way, and use it as a springboard to boost and inspire our community. A festival was born! Cape Town is pretty far removed geographically from other improv communities. Who have been some of your inspirations? What are some of the things that being a little more isolated has brought to the community? Being so far away means we really rely on each other to bring bits and bobs that we learn to the table. We do a lot of reading, and when one of us gets out and about in the world of improv, we try and bring back everything we’ve learned to our people back home. This isn’t your first year bringing international guests out to the festival? How was that experience in previous years? We’ve had AMAZING performers from Canada, USA, Norway, Denmark, and SA – and it’s been a total blast. Each troupe has brought something unique, and we’ve learned so much from them. But also, our local audiences see the possibilities beyond what we’ve been offering. And that makes them more excited about supporting us here at home! That’s one of our goals! We want that! What kinds of new shows are you hoping to attract this year? What would you love to show off in town that hasn’t been there before? 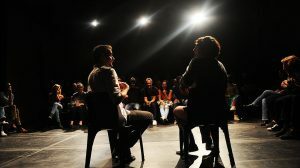 We are happy with experimental and traditional improv – because our scene has been so isolated, we’re just so excited to show South Africans all that is possible out there, and what we are doing here. Every festival with an international ensemble treats it a little differently. For those looking to submit as an individual, how does the ensemble work? As an individual, we’ll match you with other individual international performers to play on a mixer team. You will get a performance slot, and rehearsal times (with or without a coach, your call!) You’ll also get all the perks of a troupe – discounted tickets, workshops and perks. Many performers visiting for the festival might never have had an opportunity to visit Cape Town outside of the festival. What would you love their memories of the city and the festival to be? Cape Town is a stunning city with nature to blow your socks off, amazing food, adventure, good times and good people. The fest embodies that with a down home, grassroots feeling. We’re small, cozy, and fun-as-hell. The festival is taking submissions right now. Click here to submit before time runs out. 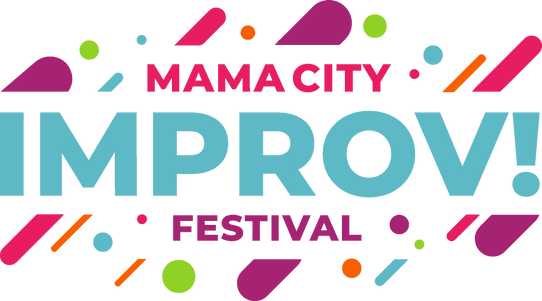 Troupe and individual performer application deadline extended for the Mama City Improv Festival in Cape Town, South Africa! 31 Oct to 4 Nov – be a part of Africa’s first and only international improv comedy festival, now in it’s 3rd year. Small, sweet, fun-as-hell! With classes all day by some of the best, and shows all night with some of the most hilarious troupes from Africa and abroad. 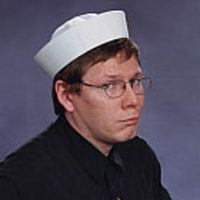 Currently Bill is an instructor at The Torch Theatre and producer for the Phoenix Improv Festival.